As we all know, currently the mainstream optical communication transmission rate is 40G and 100G on the market, their competition is also fierce. Today we will list some common questions in 40G networks. What are the common solutions for 40G networks? At the core of the 40G network layer, a pair of optical modules are usually connected at both ends of a multimode optical fiber such as OM3 or OM4(Most common is 40G QSFP+ module) to form a solution. Most applications are in long distance transmission; High speed cables and active optical fiber are often used as an alternative to cost savings for optical modules and fiber, used in short distance interconnect applications. What are the package types of 40G optical modules? Package type of 40G optical module has CFP and QSFP+. 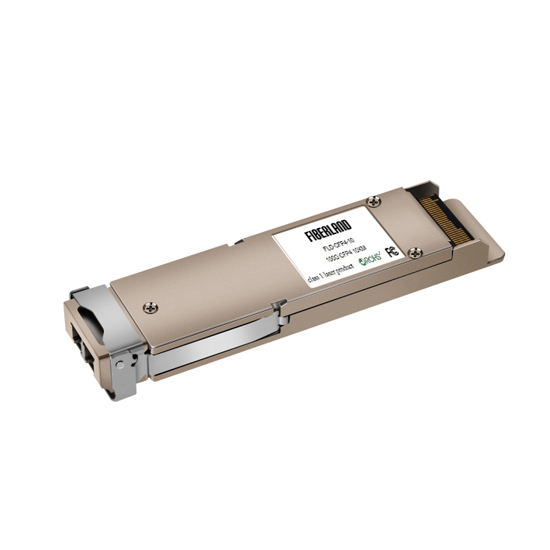 Because of the large size of CFP, the package type of mainstream 40G optical module is QSFP+. What is the maximum transmission distance of 40G optical module? Its transmission distance is farthest up to 40KM. If different transmission distance, the application scenarios is also different scenarios. What network is 40G module mainly used in? QSFP-40G-SR4 optical modules are more often used in multi-mode applications, use for short distance connections for data center devices.It can be connected with the MTP/MPO jumper to realize the connection between the two 40G network devices, also can be used with MTP/MPO-LC patch cord to realize the connection between 40G nad 40G device. QSFP-40G-LR4 and QSFP-40G-ER4 module usually uses WDM technology to realize transmission of optical signals over long distance single-mode fibers. Is the price of 40G optical modules expensive? Optical modules are divided into several types, nowadays the popular modules are original modules and compatible modules. The price of the original optical module is high, because people do not know enough about the optical module, lack of good sense of judgment, plus the brand monopoly and fame effect. While the price of compatible module is very reasonable with high quality, and can 100% compatible with many brands of switches. Fiberland is such a company that can provide all types of compatible optical modules. Not only all products have been detected by the original equipment, with perfect after-sale, by the majority of customers well received by customers.